Children’s Liturgy is an age-appropriate mini-service for 1st through 4th graders during the 10:00 am services. 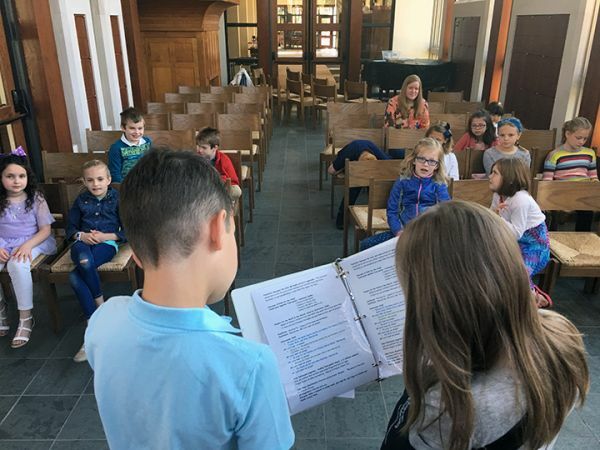 The kids are the leaders in this service, acting as readers, acolytes, and leading prayers as they learn the rhythms of our liturgy. Children begin in the Banquet or Sanctuary with their families before processing to the chapel for the worship experience. They rejoin their families during The Peace.